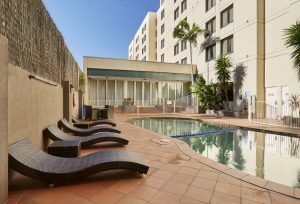 Heated outdoor pool & spa is available for year-round use. 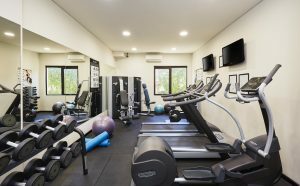 Onsite gymnasium is equipped with exercise machines, a weights section and two LCD TV screens. The facility is a free service to all hotel guests, and is available 24/7. Overnight parking is available to guests at a rate of $17.00 per night. The hotel offers both covered and outdoor spaces which are accessible via a boom gate. 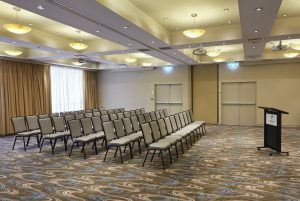 info@hiparramatta.com or on 02 9891 1277. 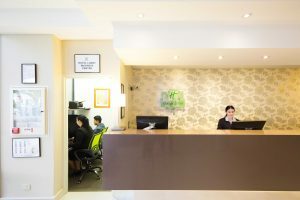 While all of our guest rooms have large work desks and high speed internet connections, Holiday Inn Parramatta also offers a wide variety of business services available through our friendly Reception team, and boasts a dedicated boardroom onsite which can be booked by hotel guests for a nominal fee and a business centre which is available to all guests. 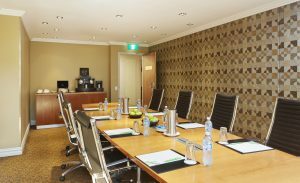 Sydney Kingsford Smith International and Domestic Airports are located just 31km from the hotel. The airport can be accessed by train, taxi, car and shuttle bus* services. *Shuttle buses are not operated by the hotel, but by private companies at a fee.